The shell gingers are named so because the flowers look like a string of little sea shells especially when they are closed up. They are found all around the island and even some growing wild on the side of the road. They are one of my favorite flowers in the islands. 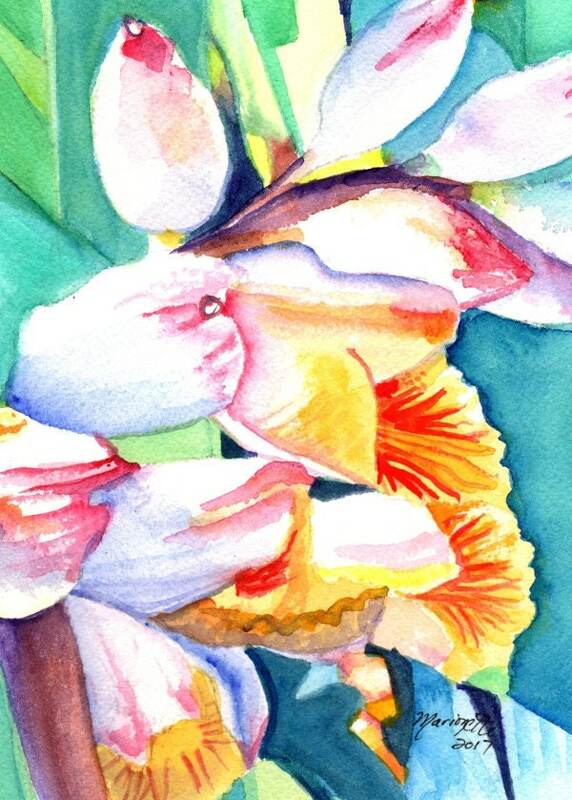 "Shell Ginger 3" is an original watercolor painting measuring approximately 5"x7" and comes with a signed "Certificate of Authenticity" and packed in a clear sleeve with a backing board (unframed). Colors may vary slightly from monitor to monitor.